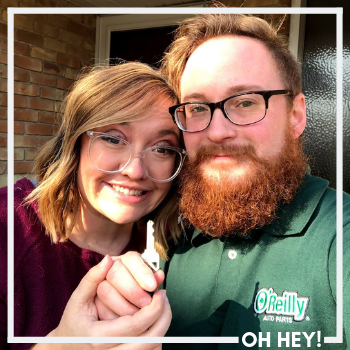 I've talked before of some of my favorite holiday traditions, (Home Alone every Thanksgiving night, She & Him Christmas album while trimming the tree, and more viewings of Love, Actually, White Christmas, and Elf than I can count on two hands to name a few.) Last year, honestly by accident, my gal pal Lucy, her wonderful mother Joanne, found ourselves parked in front of the television for a while an entire day watching truly terrible awesome Hallmark and Lifetime christmas movies. And it was the best day ever. D list actors, terribly off key singing, some of the ugliest "hand crafted" nutcrackers I've ever seen...there is so much to hate on. But we found ourselves completely sucked in to each movie, mocking the dialogue, laughing our asses off, and nearly always tearing up. (Christmas + kids with cancer/homeless families/small business owners vs. evil developers/old high school flames = Ashley Fears sobbing. Every. Damn. Time.) It's our little holiday tradition and I love it. 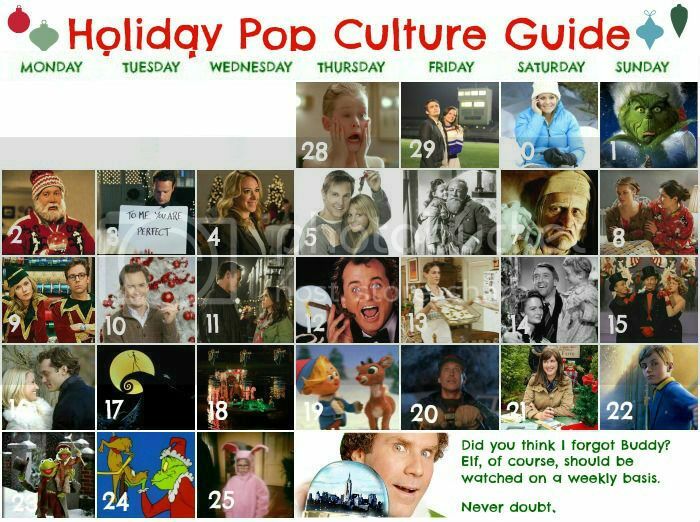 So in the spirit of maximizing the amount of Jingle Bell Rock and christmas cheesiness, I've put together a little pop culture calendar for you, my wonderful readers. On it you'll find my picks each day of what to watch and where to watch it. Lets get our Christmas on y'all! DEC 25 :: A Christmas Story TBS All Day Long! ** Editors Note: I realized last night that my calendar was all jacked up with the days of the week... sorry about that y'all! It's fixed now. I love you for doing this. And Hallmark Christmas movies are the worst/BESSST!! !